Looking for Live Entertainment for Award Ceremonies? Do you need something that will reward everyone at the ceremony? Below are some of the greatest entertainers and attractions that will make your Award Ceremony extra special! 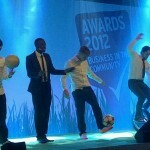 Watch as the world’s best Football Freestylers take their skills from the pitch into the Award Ceremony! There’s a fantastic number of different entertainment options with football freestylers, for example you could have a dynamic duo of globally renowned European tricksters perform a fun choreographed show that always leaves guests with a smile! Why not add a goal post into the mix and watch how this talented freestyler uses it to create a different type of football freestyle show! These talented professionals are first on our list of Live Entertainment for Award Ceremonies! At your Award Ceremony it won’t just be the winners who light up the stage when you have an LED Light Show! A colourful choreographed performance including professional entertainers using specialist LED equipment bring a real wow factor to any event! This brilliant bright spectacle deserves a place on the list of Live Entertainment for Award Ceremonies! 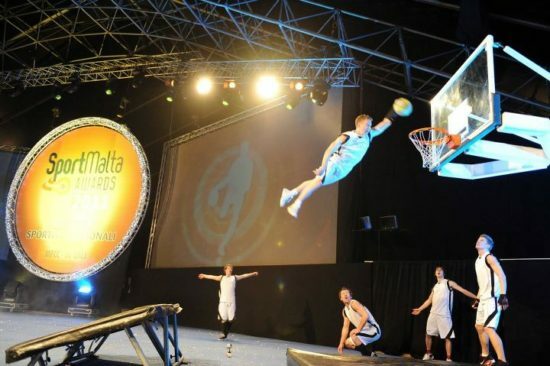 An Acrobatic Basketball Dunk Show is a high-flying piece of entertainment that will rile up any crowd! Watch as these amazing athletes soar through the air and use awesome basketball skills to score outrageous slam-dunks! These specialised sports entertainers are next on our list of Live Entertainment for Award Ceremonies! 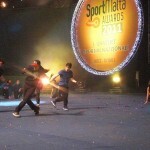 Street Dancers bring the excitement of urban entertainment to the stage! A group of professionally trained dancers use their breakdancing abilities to put on a fantastic show! These entertainers are the perfect way to kick off an event and so we had to include them on our list of Live Entertainment for Award Ceremonies! 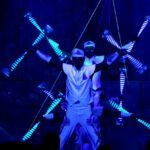 We’ve arguably saved the best for last on our list of the best Live Entertainment for Award Ceremonies with a Projection Mapping Acrobatic Show! This truly spectacular event involves a choreographed display of acrobats performing alongside projection mapped images. The show can be customised to tie into any theme making it perfect for any occasion! Should you require any further details on the above acts, their technical requirements or details of their act please don’t hesitate to connect with us. This entry was posted in Entertainment, Streets Utd News and tagged Award, Ceremonies, entertainment, live.